Physicians Formula recently released a new line of cosmetics centered on argan oil. I was in my local CVS cruising the makeup section and I noticed that Physicians Formula was 40% off so I decided to pick up an item or two and scope them out. In the end, the only item that really appealed to me was the Ultra Nourishing Argan Oil Blush and since they were on sale, I bought both shades. 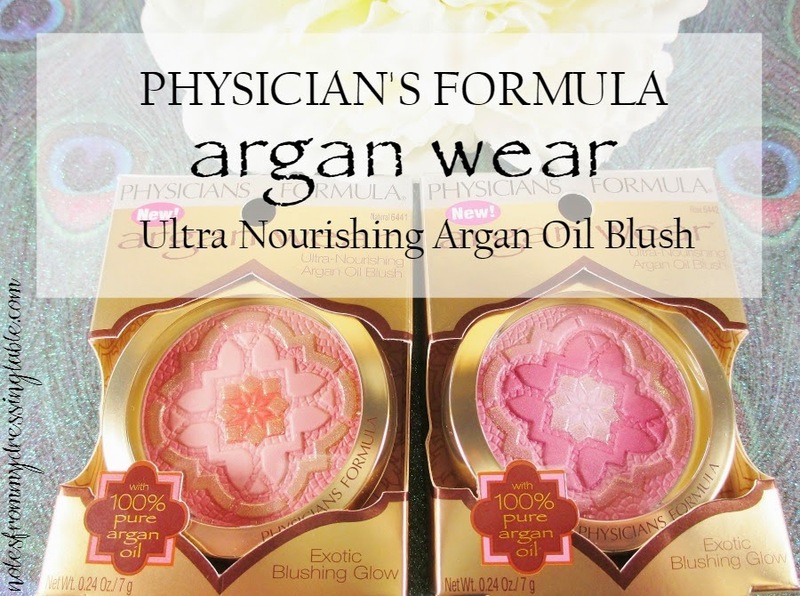 Available in two shades, Natural and Rose, Physicians Formula Argan Wear Ultra Nourishing Argan Oil Blush retail for $12.99 each. A little on the spendy side for a drugstore blush, if you ask me. 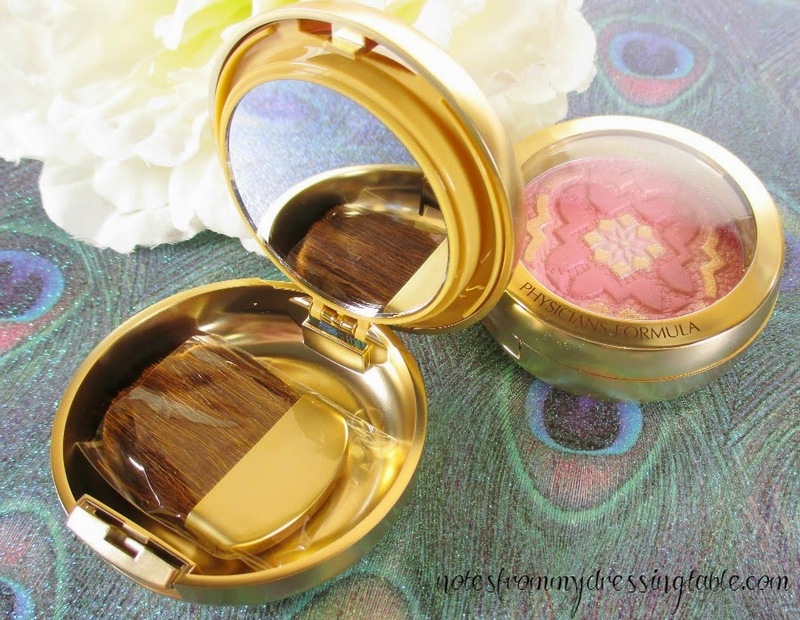 The Physicians Formula Argan Wear Blush is packaged in a thick, round, gold toned plastic compact with a clear window through which you can view the product. Physicians Formula is printed in block script on the face frame of the compact. The information about shade, weight and so forth is on the bottom on the compact. Push the little button on the front of the compact and the lid springs open. The blush cake is nestled in a swing up section that you can lift to reveal a mirror and a large, open area that houses a throwaway brush. In my honest opinion, the packaging is far too bulky, made so in order to accommodate a brush the vast majority of people likely just leave, unused or throw away. The mirror is in an awkward spot, necessitating swinging the blush cake up and down, up and down in order to use the blush, on the go. They really need to rethink their packaging. I feel that a sleek, slim compact with a mirror in the lid that keeps the blush secure and makes it easier to use would serve the consumer better and cut the amount of plastic used, serving better the Earth on which we live, as well. 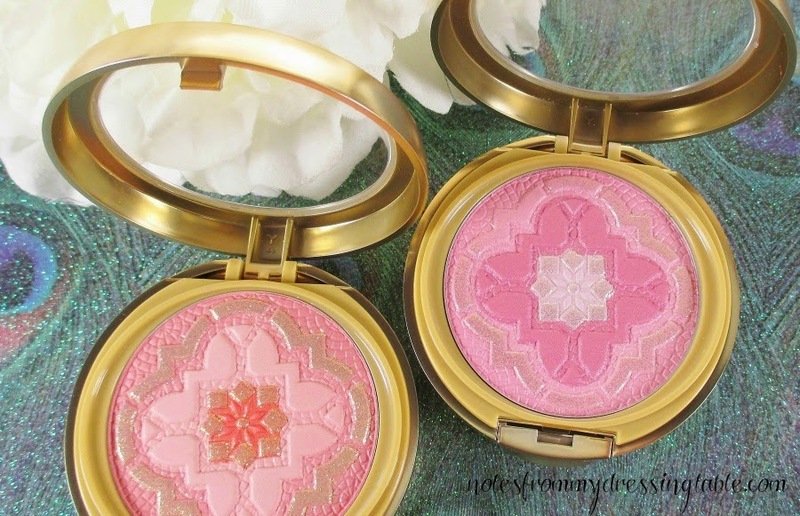 When you first open the blush, you see that the cake is pressed with a decorative Moroccan style design and enhanced with a band and center medallion of gold over spray. 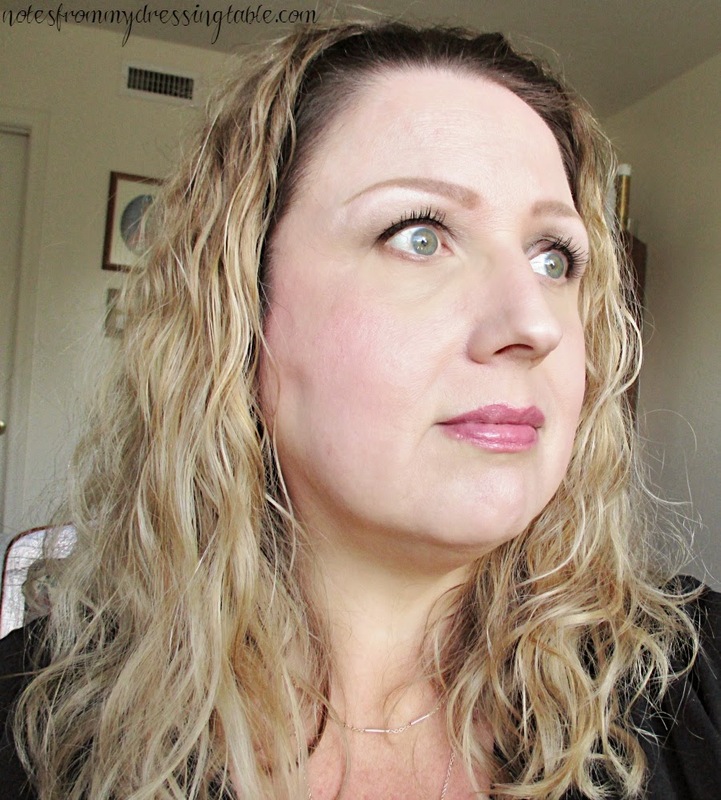 The over spray is pretty to look at but is very uneven and is whisked away at the first touch of a brush and a blow of breath across the blush cake. I don't recommend trying to wear it, the over spray doesn't apply nicely with the blush, it is purely decorative. After removing the over spray, these blushes are still incredibly pretty to look at and if you ask me, the over spray was superfluous. The Argan Wear Blush is available in two shades, Natural and Rose. Natural is a soft, peach outer ring, a creamy, pale peach middle section and a warm orange heart. Swirled together and applied they render a lovely, warm softly shimmery peach cheek. Rose has a brighter, lighter pink outer ring, a deeper rose middle section and a cool, shimmering pink/white heart. Swirled together this blush is a sweet, fresh flush on the cheek. 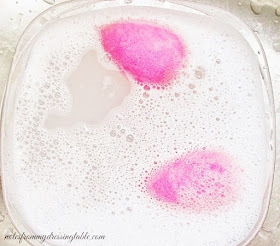 Fairly finely milled, these blushes feel smooth to the touch. They kick up a bit of powder when a brush hits them. They apply easily, blending evenly into the skin. Pigmentation is good, not stellar but I would say average. Wear time is average. About six hours or so before I desired a bit of a touch up. These are pretty, very wearable shades but I feel that they are best suited to lighter skin. I suspect, from my experience with these blushes that they could get lost on darker skin tones. 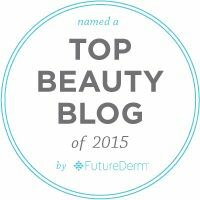 Physicians Formula needs to look to that. We are not all fair to medium. Now let's talk about the major sticking point of these blushes. Highly scented with a woodsy, exotic fragrance, the scent is one that anyone who doesn't like scented products or is sensitive will find unbearable. While I don't mind it, it doesn't seem to linger once the blush is applied, it is quite an affront to my beak while I am using the product. 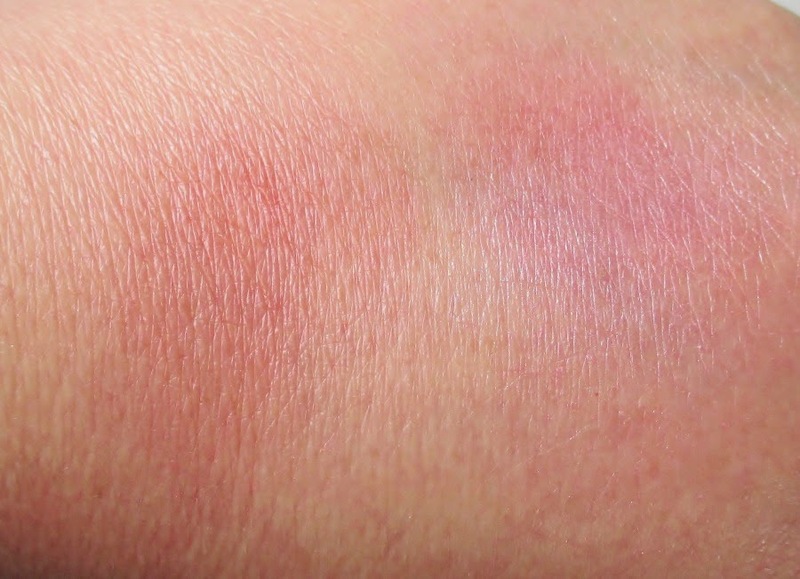 Swatches of the blushes, on my hand. Natural and Rose, left to right, as you are facing your monitor. On my face. I don't apply my blush very heavily... I'm a light blush application kinda girl. I'm wearing Natural with a hint of Rose, along the top of my cheekbones. This photo was shot after about six hours of wear and a light touch up. 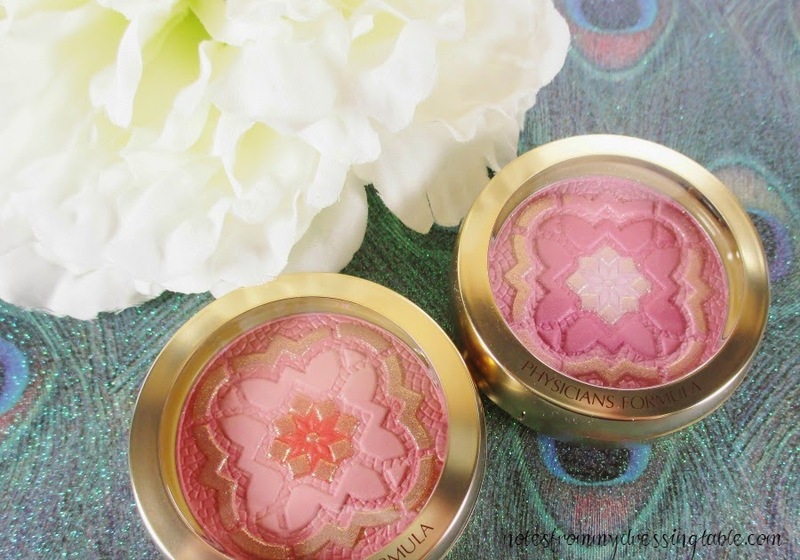 So, what do I think of the Physicians Formula Argan Wear Ultra Nourishing Argan Oil Blush? First of all, I think that name is way too frakking long. I think that the packaging is a train wreck. It is unnecessarily bulky and awkward to use on the go. But I do love the button mechanism to open the lid! Well done on that detail. I think that the design pressed into the blush cake is divine. I think that the blush is of nice quality for the price point. I think that while the colours are pretty, flattering and very wearable, I do feel that they may get lost on darker skin tones. I can't speak to that with authority, being a sister to Casper but that is my best guess. I think that this blush is too scented. I get why they added fragrance; they wanted to evoke a feeling of being in an exotic locale while applying this product but really, it's a bit obnoxious and unnecessary. This blush would hold far broader appeal if it weren't so smelly. Do I recommend this blush? Sure... With caveats. Buy it on sale. Even better if you have a store program rewards points to use/coupons. In my opinion, this line is a bit overpriced. I only purchase when I can get a deal. Remember to brush and blow away the over spray. And if you are sensitive or don't like scented products, steer clear, this one is not for you. Physicians Formula can be purchased at drugstores and mass market retailers and from Ulta both in store and online. I bought one of these because it was so pretty to look at. They look so pretty and the color on them is nice. Not a fan of the gold over spray on top though, wish they would stop adding it on to the products. It does nothing. They sure are pretty to look at! I'm not sure about the scent, though. Maybe if I catch them on sale. Argh, how on earth can you possibly swatch and swipe a brush on that beautiful design? I'm going to get Natural to look at whenever I'm feeling low, and swear I'll never use it! I love how this blush looks! What's with the name though? Did they really need to say argan twice? These look so pretty, I love Physicians Formula! These are just so beautiful I couldn't even use them! I am a huge fan of Cherry blossoms and these remind me of them. I must have them... I have always been a fan of PF blushes and powders. These so beautiful; in fact they look high-end to me. I've been meaning to pick this up because its sooo pretty! These are so beautiful! I almost picked it up during CVS's BOGO Physician's Formula sale... damn! These look lovely- & wow at how easily you removed that overspray! PF always lures me in with the packaging and then I don't end up using the product. I agree they need to redo their packaging to be sleeker & less bulky too. 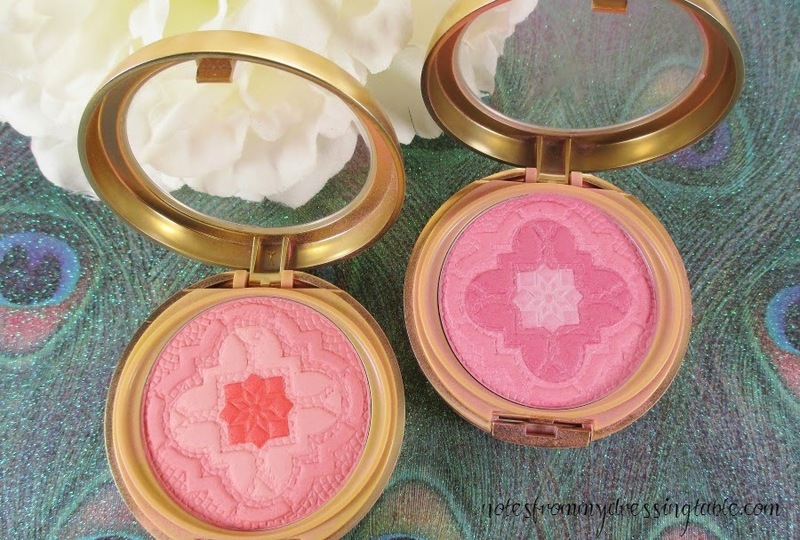 These embossed blushes are almost too pretty to spoil!! How did you bring yourself to use them?! Def big packaging but omggggggg so pretty... I love the powder design. It is pretty and I love the embossed design. Aren't they? I like to just look at them. I can't have stuff lying around I'm not going to use. I am very selective about the PF products I purchase. Some can be waaaay too shimmery in a not so good way and and tones can be off. And the packaging... Really. The overspray is so easy to get rid of. A quick brush and low and it's gone. Definitely spendy for drugstore... I only buy this brand when it's on sale. They'll be on sale again, soon. You can grab them, then. It is a pretty blush and happily, not too shimmery or too much. I don't know if there is enough argan to do anything, but it's nice to have in there. Just watch out, they are highly scented. That embossing and the rings of colour are so beautifully done. You need to get these, then. You'd manage. Just... Grab a brush and dive in. These are very nice. I just wish that they weren't so scented. I like fragranced products but these... Wow! I don't mind. It makes them feel even more special and, if I want one t look at, they are pretty affordable. Cosmetics names are out of control! I just did. And I'm gad because they are pretty, on. At that price, you can afford to buy one to wear and one to keep as a pet. Quit picking on your poor nose. You have a very elegant, I'd say patrician nose. It fits you face perfectly, neither to big nor to small. I think it's an excellent nose!